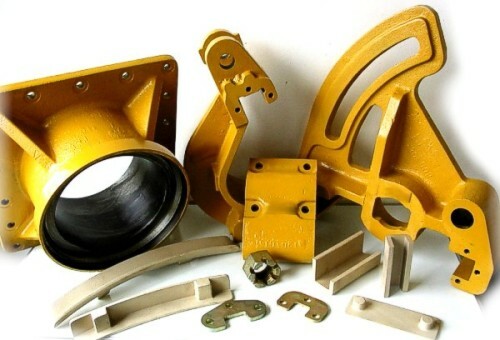 e-Parts is the branding of a company which manufactures and supplies replacement spare parts for dealers in the earthmoving industry specialising in replacement spare parts suitable for use on Caterpillar CAT, Komatsu, Terex, Mitsubishi & Bell* earthmoving machines. 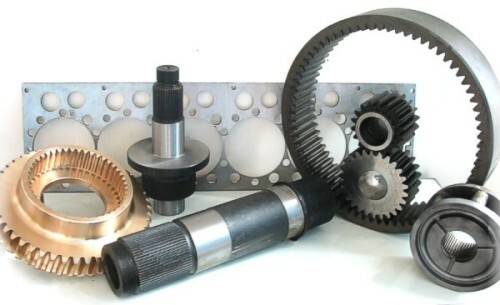 e-Parts specialise in replacement components, having a broad range of aftermarket spares for earthmoving machines, encompassing circle and blade wear strips, final drive gears, shafts and pins, brake group spindles and housings, sprockets and hubs, to list but a few. e-Parts products are manufactured to stringent specifications set out by our in-house quality assurance inspector. Quality assurance is an integral part of our daily activities and receives the highest priority. Each product is analysed to ascertain the best material compound, hardness and wear-characteristics for the specific product and its function on a machine. Our aim is to provide products that are right the first time, offering the highest level of quality at an affordable rate, ultimately ensuring that our customers’ customers experience minimal downtime and obtain maximum wear-ability. Our values and beliefs embrace honesty, reliability and above all integrity, building open and honest relationships with each and every one of its customers. We believe in this very strongly as it opens communication and prevents future problems. We endeavor to make ourselves available during crises’ and breakdowns, providing excellent lead times and advice. We are able to manufacture a product from a sample or a drawing, ensuring our customers greater flexibility and a broader range. e-Parts as a brand was developed in 2004, however the mother company was established in August of 1978 by one man, Peter Humphries. Since then the company has grown into a family business involving Peter and his two sons, Neil and Colin with a manufacturing staff of 14 employees, each of which has helped to contribute to the culture of the company.